From losing weight to launching a business, people all have goals in their life. In many cases, these goals are attached to lifelong dreams that an individual is very passionate about. Yet, there are 7 common reasons why you fail to meet your goals, even when it is a lifelong dream. This post contains affiliate links in it. Using them may result in a small commission for the site at no charge to you. So why is it so difficult to achieve your goals? Why do you see other people realizing their dreams right and left, while you struggle to do so? It’s not that you are lazy. You have put in plenty of time, read all the goal setting books and taken courses. If you are spending a lot of time and energy chasing your dreams, you are to be congratulated. This means you don’t mind working hard to attain a result that is valuable and important to you. What may have slowed you down on the path to realizing your dreams are the following 7 common reasons why people fail to meet important goals they have set for themselves. 1 – You set goals that were impossible for you to achieve. If you are 7 feet tall, you weigh 400 pounds and hate horses, you are probably never going to be a jockey. Or, maybe you want to be a doctor but have no interest in anything related to math. Your goals should be challenging, but actually achievable. In my case, I know that I will never be a slender individual. My body type is the antithesis of that with the propensity for plenty of curves and a higher number on the scale. When I embrace what will not be (a thin model figure) and instead focus on something achievable (the ability to go hiking with my boys and not be tired), then I am more likely to reach my goal. 2 – You think of your goals as negative statements. The human subconscious is what works on your goals. It doesn’t understand negative thoughts. 3 – Your goals are not written down. There are countless stories of people that achieved their goals after writing them down. Don’t underestimate the power of writing out your goals and reviewing them daily, or at least weekly. Some people like to put together a dream board with visuals for their goals. Others just need a list somewhere prominent so they see it daily. The key is to write goals down! 4 – You’re not measuring your progress. If you don’t know where you’re going, and how far you’ve gone, how do you know when you get there? Break a large goal into smaller goals. Recording your progress improves your chances of success. 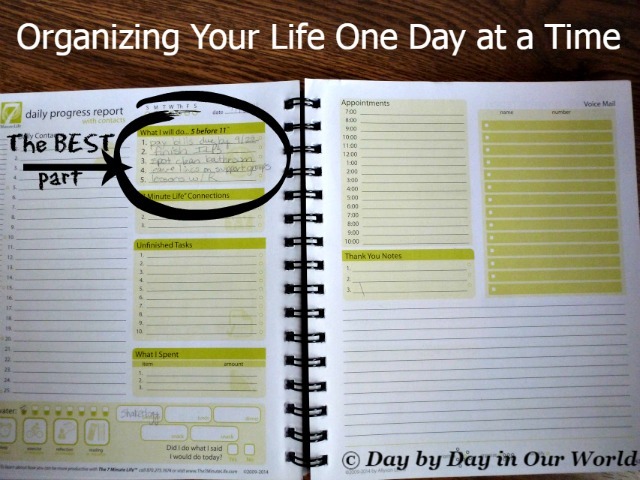 One of my favorite resources for goal setting and tracking is The 7 Minute Life Daily Planner. Each planner is meant for a 90-day cycle with a 2-page spread per day (unmarked so you can start it when you are ready.) But, before you start the daily work you are walked through goal setting. 5 – You don’t celebrate small victories. The huge bonfire of achievement that is the accomplishment of your goals must be built up slowly. Give yourself periodic encouragement as you achieve small victories on the way to your major goal. This continually stokes the fire of your desire which gives you the willpower and determination to realize your dreams. 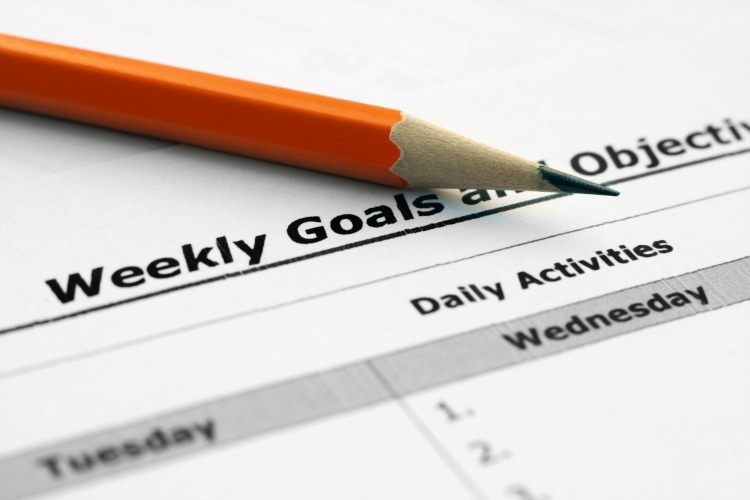 For those with weight loss goals, measure your progress every month and celebrate what you have accomplished. One friend will pick up a new accessory or even a new article of clothing if she’s been consistent with nutrition and exercise. 6 – You are in an environment which is not conducive to you achieving your goals. If your family, coworkers, friends and neighbors are not supportive of your dream achieving efforts, all your work may be for naught. The same can be said of your physical environment. While you might not be able to remove all the negative people from your life, you can ask them to refrain from commenting on your dreams. If you have a ‘toxic’ person in your life with no end in site, then consider reading How to Hug a Porcupine to help you better manage the relationship. Your physical environment can be changed to allow for new life in your work. Whether it means changing the space you have or finding a new one, there is a lot to be said for having the best surroundings possible. 7 – Your goals are too vague. Setting a goal to “be rich” will probably never be achieved. Change that goal to something precise like “I will earn $120,000 per year as a copywriter in the health and wellness industry within 2 years.” Your achievement of this laser targeted goal is much more possible. I did this last year with my original blog, Day by Day in Our World. I looked at what I had earned on average per month and raised the bar. Not only did I make the financial goal set in January 2015, but I surpassed it! This year I am on target to meet last year’s income. 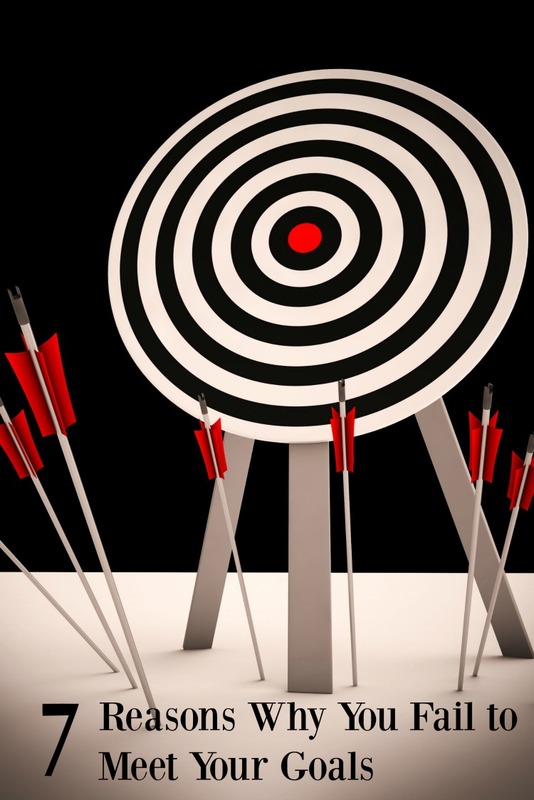 Have you experienced a time when you failed to meet a goal? 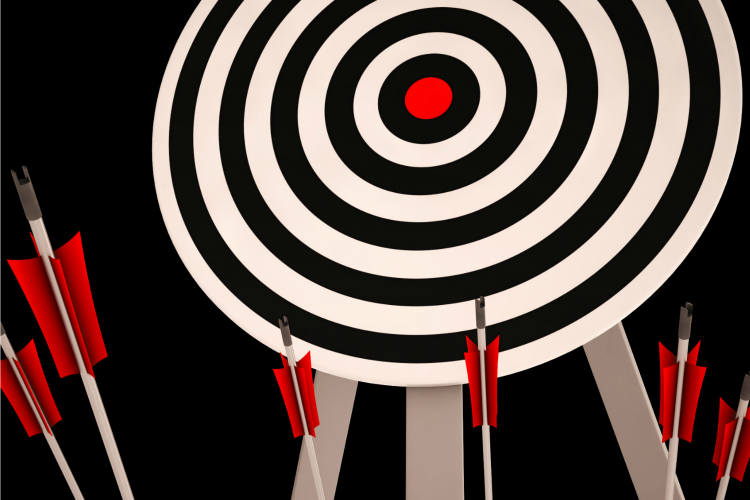 Which of these 7 common reasons why you fail to meet your goals sounds like something you’ve experienced? What are some of your life goals right now?